After years working with both traditional spring coil beds and natural materials, I’ve learned that latex is simply superior. It lasts longer, provides much better support for the body and doesn’t have nasties like dust mites and mould. Unlike older latex beds, The Zenna is well ventilated and designed to keep you cool. Plus it has an easily removed, washable bamboo cover. This bed really represents the best value that I have ever seen. The Zenna mattress core is good for you and good for the environment too. 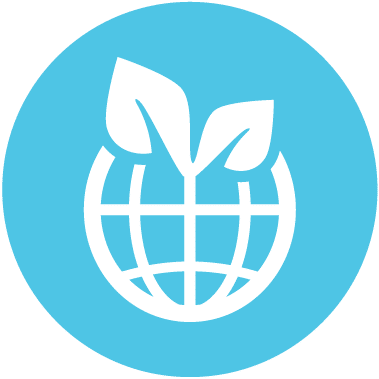 Oeko-Tex Class 1 and Euro Latex are used in our mattresses core for no harmful substances and to comply with the Belgian government for Environmental care. No calcium based fillers are used to “enhance the process-ability” as is done by most latex manufacturers. Our eco-friendly, sustainable Bamboo fabric is regarded as being the best environmentally careful fabric currently available and conforms to strict European standards. If you’re not happy with your Zenna after 100 nights contact us to arrange return and refund. Light, soft, highly breathable, durable, and moisture wicking, the zip-off bamboo cover can be washed with cold water or dry cleaned, no spin. 7 comfort zones naturally adjust to your body providing support where you need it. Flip for a firmer feel. Bed’s not just about sleeping – the Zenna delivers that extra bit of bounce right when and where you need it. Ventilation holes combine with an open cell construction to remove excess heat and moisture. NO layers, glues, chalks, fillers, foams, harmful chemicals, or metal, zip off washable cover. The latex core means NO allergies, dust mites, mildew, moisture or other nasties. Vacuum packed into a roll, it’s easier to transport than conventional mattresses – even in lifts and up stairs – and shipping is free. The Zenna comes with a 10 year guarantee and 20 – 25 year lifespan. 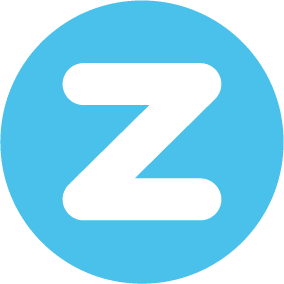 The Zenna mattress is manufactured by the world’s longest running and largest latex factory. Made from the sap of sustainably farmed rubber trees, the Zenna isn’t just good for you – it’s good for the environment too. The Zenna mattresses are tested for hardness and height durability. 140kg load is rolled 60,000 cycles over a mattress to simulate a 10 year usage of the mattress. The Zenna mattress exceeds the international ISO requirements of 5% loss of height over 10 years. This means you will not experience sagging and your Zenna mattress will keep its outstanding qualities over time. Our mattresses naturally adjust to the contours of the body, providing gentle support where you need it when you’re sleeping and allowing optimum time in your deep sleep cycle. It has a firmer head zone then a softer shoulder zone for the broadest part of your body to reduce pressure and encourage blood circulation so that you turn less in your sleep, followed by a firmer back zone followed by a softer hip zone to allow for your hip shape followed by a repeat of zones to allow you to rotate your mattress. And because bed’s not just about sleeping, the Zenna delivers that extra bit of bounce right when and where you need it. Want a firmer feel? Simply flip your Zenna. 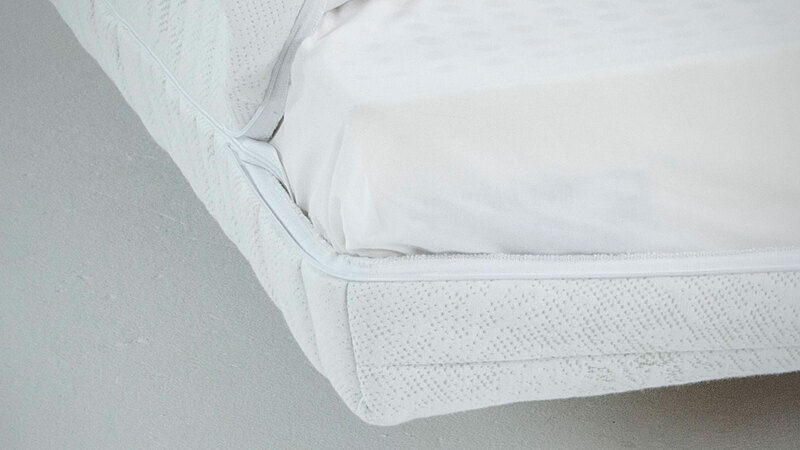 Featuring the latest breathable technology in latex bedding, the Zenna has ventilation holes top, bottom and right through the sides. Combined with an open cell construction this lets the mattress breathe, removing excess heat and moisture. Tests carried out by the Morton Thiokoi Research and Development Institute in Massachusetts indicated the latex used in The Zenna has an anti-fungal and bactericide action. No fungus, bacteria, dust mite or other unhealthy organisms can live inside a latex mattress. These protective properties exist in the latex milk inside the rubber tree. If the tree is damaged, the milk forms a protective layer which prevents infection. It is similar to the reaction of the human body to injury. Dust mites are a common cause of allergies and asthma. They thrive inside most mattresses and pillows because of the heat we generate during sleep and the moisture that we expel. They thrive on dust which is our dead flaked skin inside pillows and mattresses because of the heat we generate during sleep and the moisture that we expel. The natural antibiotic properties of latex and its open cell structure and excellent ventilation (if designed and built properly) make for an inhospitable environment for dust mites and microbes. This combined with the feature, with nearly all our mattresses, that the bamboo cover can be removed and washed provides a very hygienic, clean and healthy sleeping environment. No chalks, no fillers, no chemicals, no metal used. The Zenna is compressable and packs right down, making it easier to carry than conventional mattresses – even in lifts and up stairs – and makes transportation and shipping more affordable. The bamboo cover zips-off and can be machine or hand washed. It’s also eco-friendly, strong, durable but soft and wicks moisture away.